Check out the the Brooklyn Children's Museum website on patterning. There are some really cool patterning activities. Choose one of the games and see the wonderful patterns you can create. 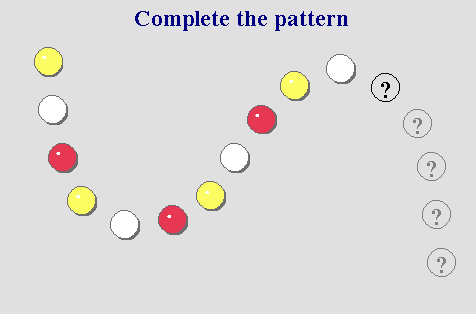 Complete the pattern is an interactive activity from the National Library of Virtual Manipulatives. This works really well on the Smart Board. Finish the pattern the space ship leaves. You can use these interactive linking cubes to show colour patterns. Pattern Palace is from Learn Alberta. 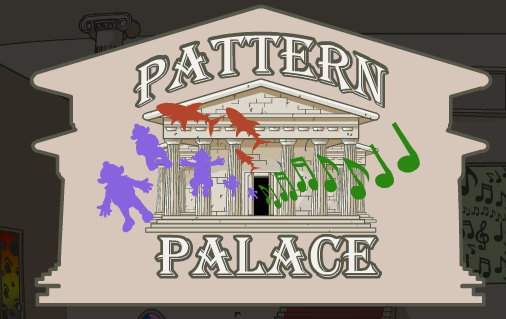 Visit all the rooms in the palace to create different patterns. Can you find the missing number in the pattern? The happy face will change colour if you get it correct. 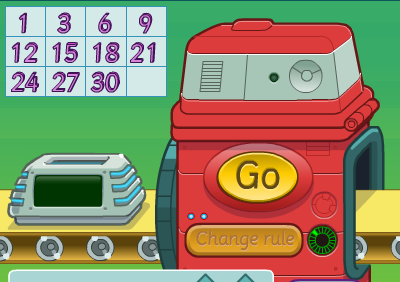 Find the missing number in the sequence. Pay attention as the numbers may be increasing or decreasing. If you scroll to the top of the page, it gives some hints about how to find the missing number in a sequence. You need to crack the code in order to open the safe. You need to drag and drop the number tiles into the appropriate spot in the code. Good Luck. Can you problem solve to figure out the pattern rule?